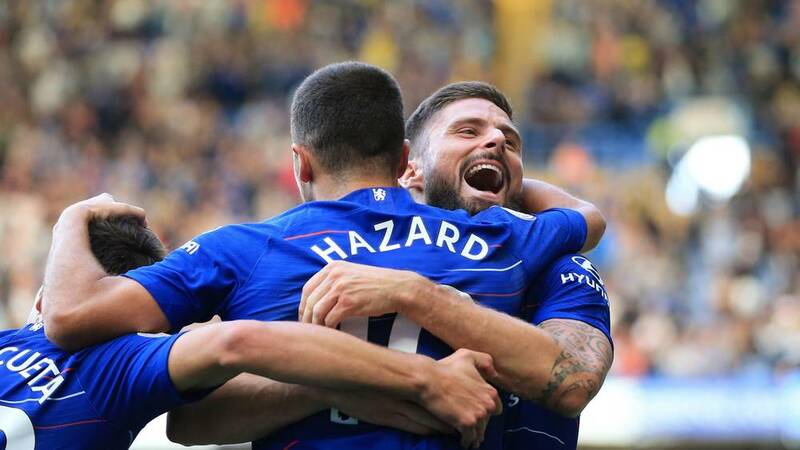 Chelsea midfielder Mateo Kovacic admits that he did not realise how good team-mate Eden Hazard was until arriving at the club this summer. Kovacic joined on loan from Real Madrid last month and might have wondered whether he would play with Hazard at all, with the Belgian constantly linked with a move in the other direction as a replacement for Cristiano Ronaldo. However, Hazard stayed at Stamford Bridge and - after returning late to action following the World Cup - has already hit top form by scoring a hat-trick against Cardiff on Saturday. When asked just how good his new team-mate is, Kovacic said: "Really good. I didn't know he's so good." "Obviously I knew that he is a great player," the Croatian added. "But now, when I see him playing with us every day, every week, he is just incredible. "For me, in this moment, one of the three best players in the world. "I am enjoying with him, with other players, because the team is really amazing, talented, and I think we can do great things this season."